Please post feedback (if anything is unclear, incorrect or you have stuff to add) and I'll keep updating this post w/ the latest. All of this is related to US models. Hopefully, all others will be the same, but please post any discrepancies. the signal into the amp is flat. Out of the Bose amp, not at all flat. So tap into the signal before the amp. Requires a line output converter that can sum of all the channels, e.g. using AudioControl LC-6. Last edited by Astral; 05-15-2009 at 09:33 PM. Unfortunately, I have to get back to work, I'm sure more information could be added... any feedback is welcome, or any suggestions for extra info. In particular, I'm lacking any info on aftermarket headunits. Here is something to add that we have found...... the doors like to fill up with water. 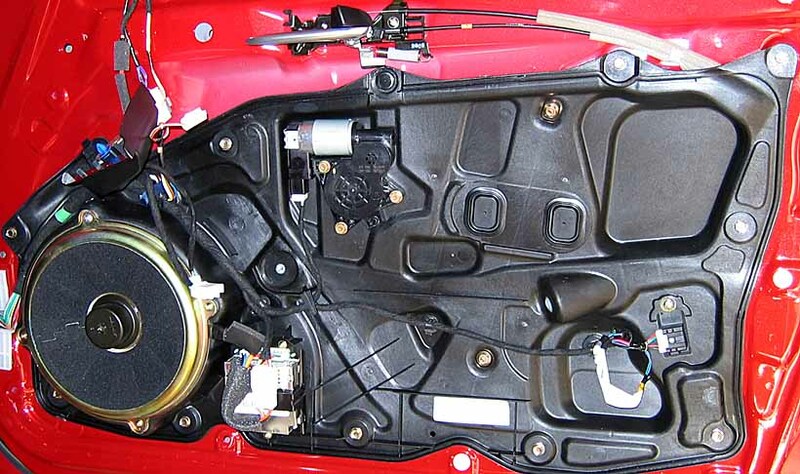 We found this out as we had fully modified the door panel. The stock speaker grill is now a rotor shape. Instead of making a mdf baffle in his door, we used clear plexiglass and lit it up with a suspension lighting kit (that was waterproof thank god). So imagine our surprise when the customer calls and he says that the door is full of water and he can see it rising on his nice new Focal speaker. 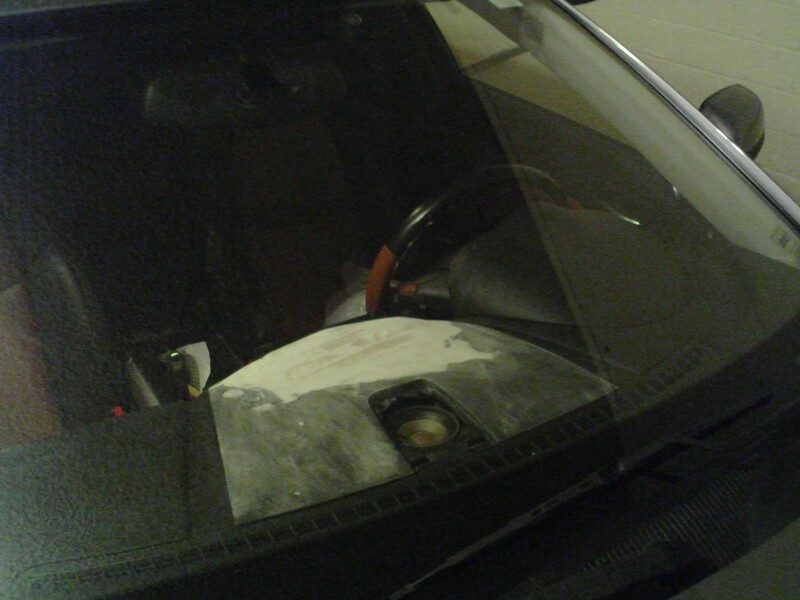 So you might want to do a water test on your door, it seems the water is coming in up near the side mirror. Take the door panel off, take the factory speaker out and put the hose on it for a bit. Here on Vancouver Island we get a crapload of rain at this time of the year and it stays until about April. The Mazda dealer has now identified this as a problem on this vehicle. 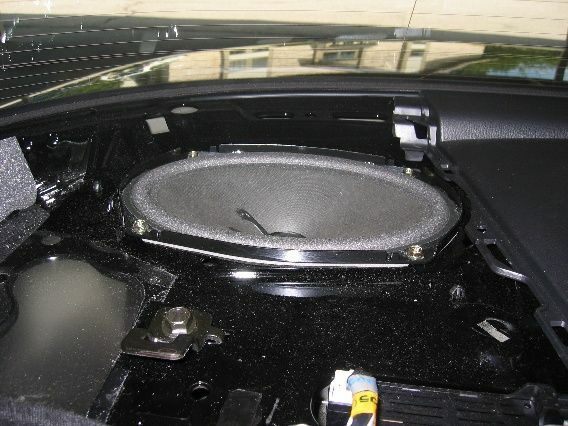 So check your speakers, do not use mdf for baffles in the door of this car, use plexiglass or black abs. Here is something to add that we have found...... the doors like to fill up with water. Thanks for the info! I updated the thread w/ a point to your post for the "whole story", hopefully this should be enough. 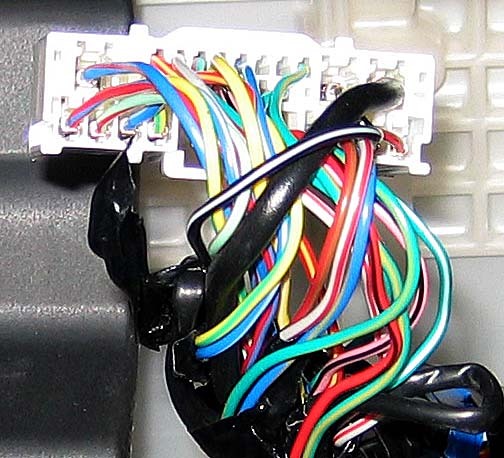 "Bose headunit: has line-level outputs before amps, but requires summing of all channels, e.g. using AudioControl LC-6"
What you mean is that you need a differential line converter here right? Doesnt have to be the AudioControl, but has to be a diff. line converter right? Also...the best place to add a converter to the Bose is before the amp or after? Hmm, I think I was somewhat wrong there. Looks like Bose has speaker-level outputs anyway. AFAIK, it has to be a line converter than can sum the inputs. Add converter before the amp, as per this guidance from forbidden on the use of AudioControl 6XS. I'll update the main post to clear this up a little bit. Last edited by Astral; 10-17-2005 at 03:14 PM. A much needed reference - thanks Astral! I'm building my system slowly but surely. Now I know some more options for my speaker replacement. 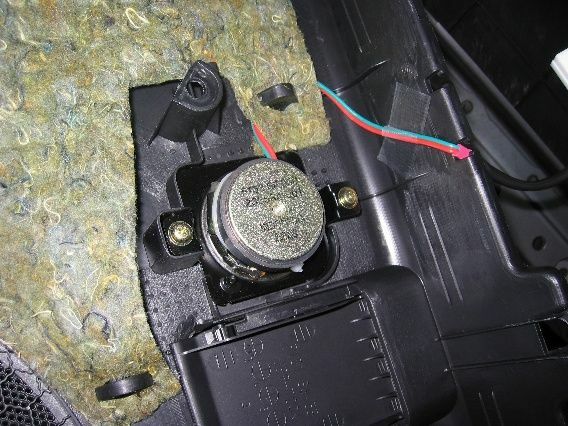 Hmm..Soundgates(www.soundgate.com) Application guide says the LOC should be installed AFTER the factory amp on the RX-8 for stock and Bose systems. Doesnt seem right to me. I emailed their tech support for a confirmation. anyone know for sure? Last edited by djseto; 10-21-2005 at 05:14 PM. LOCB.2 if not you have to go after the amps. looks like you should tap after the bose amp. JL Audio setup 12" sub is all you need with the stock radio! umm...how is that post suppose to help? djseto, I already have a link in the reference post to a conclusion of that thread many pages down. CactusGeorge's mistake was tapping the HU outputs directly into the amp's RCA inputs (not speaker-level inputs). This caused the overtaxing of the HU. When he plugged the HU outputs into an LOC, then everything was dandy. See the conclusion from this thread. AFAIK the output level from the HU changes with the volume ****, but maybe someone can confirm for me... I don't think that the HU volume **** controls the amp's "gain" separately or anything like that. The guys at soundgate said if the output level changes at the HU going into the amp, you can tap it before the amp, but you have to buy a more expensive LOC. But since the signal is full range going to the rear speakers, he said tapping if after with the cheaper LOC makes sense. radio and ac display does not work after removing thr radio and then reinstalling, is there something i forget to do? The front tweeters are 2"
Last edited by MrWigggles; 11-04-2005 at 05:48 PM. Wiggles, thanks for the info! Updated. I am now only missing rear Bose tweeter size. Yes the output does change BEFORE the amp. The output does get up to about 3 volts so there is PLENTY of signal before the amp. Bose back tweeters are 2"